I am dying laughing at the Princess comment. 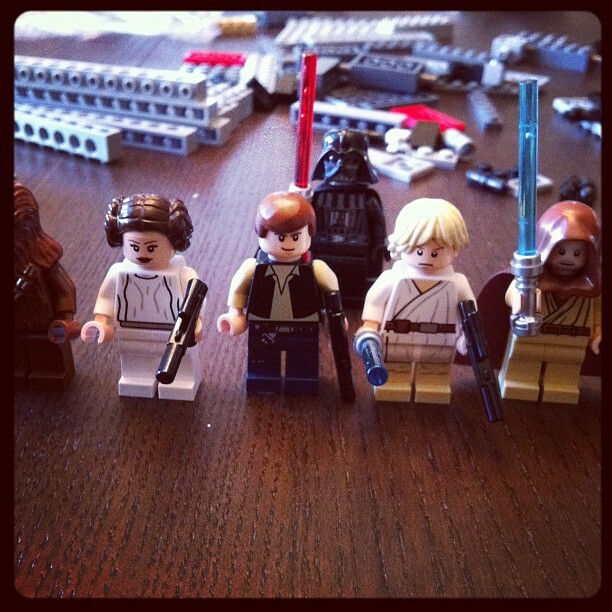 I have 3 boys 11,8,4 and that is EXACTLY what they like to insert in all Lego mini-figs...bodily functions. I am a Lego freak myself and got a huge pirate ship from Pirates of the Carribean. I have a shelf in my studio for my Legos. :) Happy New Year! That's what it's like when you have boys. Bread mixing in a kitchen aid is super. Just takes practice. You're gonna love it! Oh does this bring back the best memories! When my son was about 9 he got the Hogwart's Castle for his birthday. He (and by he, I mean I) spent hours putting it together. We put it on THE SHELF OF HONOR in the playroom. I don't think it was 24 hours before a wayward nerf ball took out a major portion of it! There are times when I walk by the Lego store and think I would love to go by something for myself! So I am thinking there is a market for lego quilt set. Right here with your blog peeps Vanessa. I am off to keep working on the houndstooth quilt. Its awesome, although I somehow made twice as many strip sets as I needed. 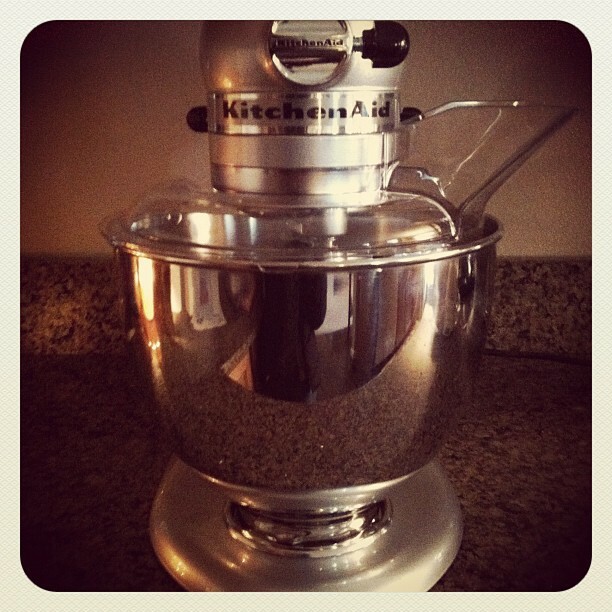 You will love that mixer...and your bread will be absolutely fabulous! We've also had 4 straight days of lego's broken up only by spurts of kinex roller coaster building. *We got the milenium falcon as well---but not the death star---have you seen that thing??? My seven year old would be working on that until he graduated from highschool! 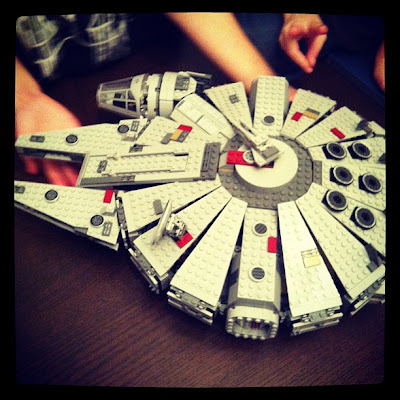 Actually, it might take him that long to finish the milenium falcon...but I sure hope not. I want my kitchen table back. When my husband got me a Kitchen Aid for Christmas (I think eight years ago) my son said it was like a family gift because I started baking so much more. A tip on making bread: never measure the flour. I learned from a class to use hot tap water, maybe a cup of flour and all the other ingredients with the paddle. Then gradually add the flour, switching to the dough hook when it starts to get thicker. I just scoop a little flour (maybe a half cup at a time,) until it no longer sticks to the bottom of the bowl. Then let it knead for at least five minutes. YUM! Your family is too fun! Enjoy that new Kitchen Aide and happy New Year! Ah, yes....boys. My sons were watching TV when a Time Life type commercial came on about the "Shirley Temple" collection. Now I hear "Animal crackers in my poop...." Ah, yes.....boys. We got our first big lego set this year! After 3 days of putting it together with my son, yeah right, dad was carrying it down the hall and I heard "CRASH"!! He dropped it in the hall!! I almost cried. We keep talking about putting it back together, but I know there will be a few legos missing and it will drive me nuts, so I am refusing to do it all again.